By the end of the decade, Audi will pull the plug from the R8, which will mark the arrival of the new generation Lamborghini Huracan, most likely with a hybrid powertrain. In September this year, Audi took the wraps off the first ever Rear-Wheel-Drive R8 at the 2017 Frankfurt Motor Show. 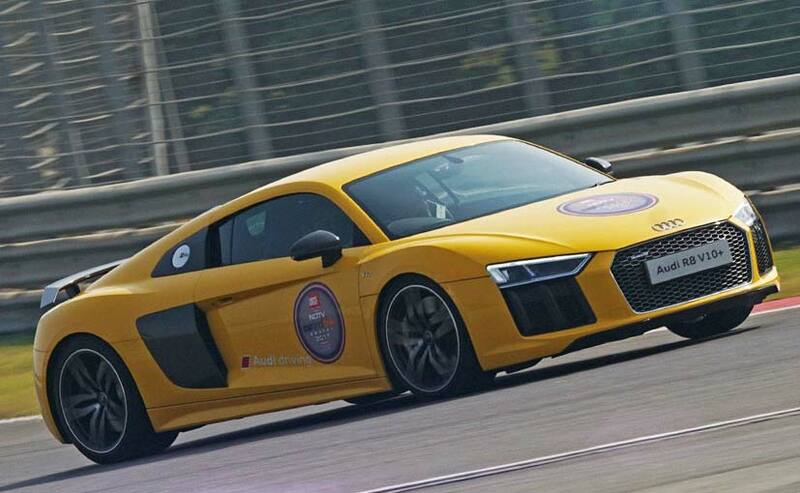 The Audi R8 RWS, or the Rear Wheel Series, is the first model to get RWD instead of the Quattro AWD system. Although, limited to only 999 units, the Audi R8 RWD took a major step away from the company's Quattro system, which has been in its DNA for so many years. However, reports suggest that Audi will soon discontinue the R8 across the globe due to its poor sales and that there will be no replacement for it. By the end of the decade, Audi will pull the plug from the R8, which will mark the arrival of the new generation Lamborghini Huracan, most likely with a hybrid powertrain. While the report does not cite any source, it does indicate that all this has resulted due to a number of reason- VW Dieselgate, Audi exits Le Mans, Audi Quattro rebranding as Audi Sport and Stephan Winkelmann exiting Audi to join Bugatti. It seems that the company is making major changes in its strategies for the new decade and the above mentioned ones seem to be the only logical solution to solve the mess they are in right now. That's not all. The report also suggest that the proposed zero-emission R8 e-tron and the Scorpion supercar powered by a 1,000 BHP V8 engine will also not see the light of day. Talking about the Audi R8 RWD, a 5.2-litre naturally aspirated V10 engine gave maximum power of 538 BHP and 540 Nm of peak torque, while mated to a Audi's 7-Speed dual-clutch transmission. The R8 V10 RWS has a split of 40.6 front/59.4 rear weight distribution. Moreover, the rear wheel has made way for weight savings losing up to 50 kg on the Coupe and about 40 kg on the drop top version. With the ability to go from standstill to 100kmph in 3.7 seconds, Audi says the rear wheel R8 coupe will max out at 320 kmph, which comes down to 318 kmph on the convertible.